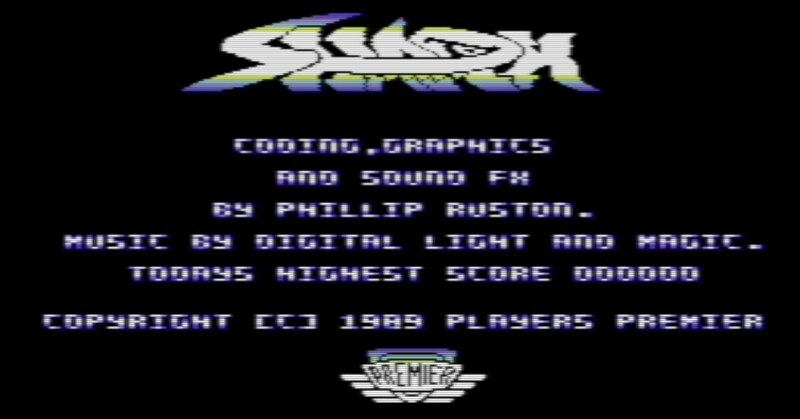 In 1989 Players Premier released the rather enjoyable shooter ' SHARK ' for the C64 and ZX Spectrum. It had a great menu tune by Digital Light and Magic, with coding, graphics and sound by Phillip Ruston. Some would class it as a Cybernoid clone as the game play is very similar with screen switching, missiles being fired from above and below, static objects shooting at you and difficulty being at an all time high. Thankfully you can now play this game again as Fairlight have re-released the game with a trainer, as a test for preserving digital media. ( The original was cracked in 1998 by Remember ). It may not be as good as Cybernoid, but it is still an enjoyable game, but watch out for those spawning ships, as sometimes you can be overwhelmed and die very quickly without a trainer!